Good Shepherd K9 Rescue now offers the opportunity to make online contributions for anyone who wishes to make a tax-deductible donation to our organization. We hope this makes it easier for those who wish to help with our rescue efforts. Our site uses a secure Paypal account but it is not necessary for the donor to have a PayPal account. Please use the button to the left or click here. 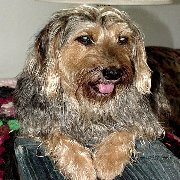 In honor of Debbie Lynch who dedicated most of her short life to animal rescue, we have added a memorial page for you and others to remember our cherished pet. The K9ADOPT web site has taken on a new look to make it easier for the public to view animals available for adoption. 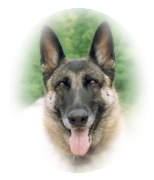 The site started as strictly a site for Good Shepherd K9 Rescue. Over the past few years it has expanded to include many of the local animals shelters as well as featuring animals that Good Shepherd K9 Rescue has in foster care. The site services are offered free of charge to the animal shelters as well as to anyone who needs to find a home for their pet. If you need to find a new home for your pet, you will find a ton of helpful information in the article "Find a Home for Your Dog".